Just when 25-year old Maria Beaumont thinks her social life and career are cool, her boyfriend dumps her and her museum boss hands her "mission impossible". Recover? Succeed? Date again? Echoes of a critical mom, cantankerous coworker, and opinionated friend dog her as she heads in the direction of new unexpected voices. As Maria balances today's workplace challenges, fuzzy dating rules, and her own dreams, she proves savvier than anyone expects, surprising even herself. Will she choose the dashing Italian artist, Leo, the genial high school teacher, Bill, or her dream of studying art in Europe? As Maria balances today's workplace challenges, fuzzy dating rules, and her own dreams, she proves savvier than anyone expects. Will she choose the dashing Italian artist, Leo, the genial high school teacher, Bill, or her dream of studying art in Europe? 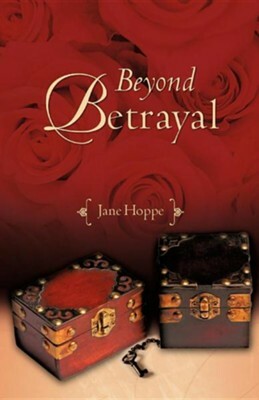 I'm the author/artist and I want to review Beyond Betrayal.